Do wind turbines affect nearby property values? It seems like a reasonable question. A new report by the Lawrence Berkeley National Laboratory finds that wind farms have no statistically significant affect on nearby property values. There were 60,007 megawatts (MW) of wind power capacity installed in the United States at the end of 2012, estimates the Department of Energy. About 459 MW were installed in Missouri, ranking us tied for 23rd with Nebraska (see chart at right). Wind generates approximately 1.4% of the electricity in Missouri. Click chart for larger view. The report looked at every property sale that occurred in 4 distance categories: less than 1/2 mile from a wind turbine, 1/2 to 1 mile from a turbine, 1 to 3 miles from a turbine, and 3 to 10 miles from a turbine. It found some 40,000 turbines that had been installed through 2011. The report ended up analyzing 51,276 property sales between 1996 and 2011 in 9 states: New York, New Jersey, Pennsylvania, Ohio, Illinois, Iowa, Minnesota, Oklahoma, and Washington. Other states were omitted because there were not enough transactions to create valid comparisons. The report found that many variables affect the value of a property – the size of the house, its age, the quality of the neighborhood, and many others – but proximity to a wind turbine did not. It neither increased nor decreased the property value by a statistically significant amount. That phrase “statistically significant amount” matters here. This kind of a study has to use statistics, and statistical methods have a limit to their sensitivity. In this study, the statistics were powerful enough to detect a +/- 4.9% change in property value within 1 mile of a turbine, and a +/- 9.0% change in property value within 1/2 mile. The poorer sensitivity within 1/2 mile was due to fewer transactions. There was some evidence that property values might decline slightly when a new wind farm is announced, but the decline reverses after people get used to the idea of the new wind farm. The trend was not statistically significant, so the report concludes that the idea is only a seemingly plausible possibility. Installed Wind Capacity. Office of Energy Efficiency and Renewable Energy. EERE > Wind Program > Wind Powering America > Education > Learn About Wind > U.S. Installed Wind Capacity. 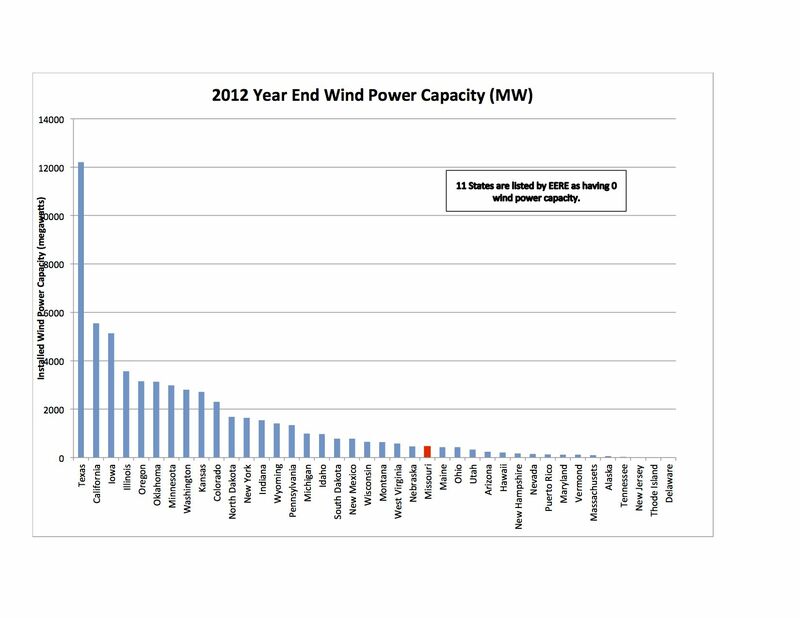 http://www.windpoweringamerica.gov/wind_installed_capacity.asp. Hoen, Ben, Jason P. Brown, Thomas Jackson, Ryan Wiser, Mark Thayer, and Peter Cappers. (2013). A Spatial Hedonic Analysis of the Effects of Wind Energy Facilities on Surrounding Property Values in the United States. Ernest Orlando Lawrence Berkeley National Laboratory. http://emp.lbl.gov/sites/all/files/lbnl-6362e.pdf. By mogreenstats in Energy on 2014/01/09 .